Roughly half of the muscle fibers in your body are slow twitch muscle fibers and the other half are fast twitch muscle fibers. These fast twitch muscles lie semi-dormant until they are activated by an action that moves them faster than normal. When you swing the Speed Whoosh several times in a row at speeds of 20+ mph faster than your own driver, this action activates the fast twitch muscle fibers and readies them for action. Then, when you pick up your own driver and hit a tee shot, you can expect to add 7 to 10 mph in club head speed instantly, translating into a tee shot flying 21 to 30 yards farther. 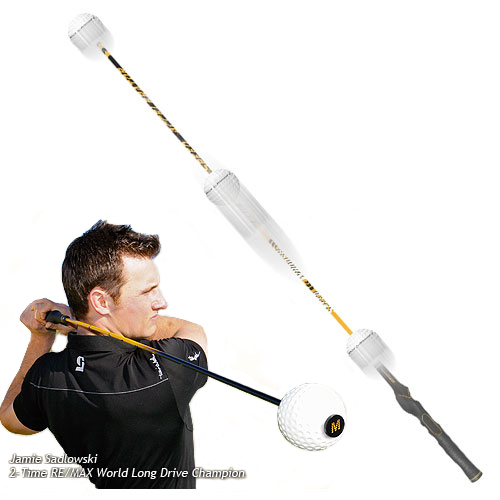 Set the Magnetic Timing Ball at the end of the shaft and swing the Speed Whoosh six times in a row as fast as you can. You'll hear the sound of increasing club head speed by the "WHOOSH" it makes when you swing it. This will immediately activate the fast twitch muscle fibers used to swing your golf club. Switch to your own driver, and you'll increase your club head speed 7 to 10 mph instantly! Repeat this action regularly to further add to your swing speed and maximize your distance off the tee! 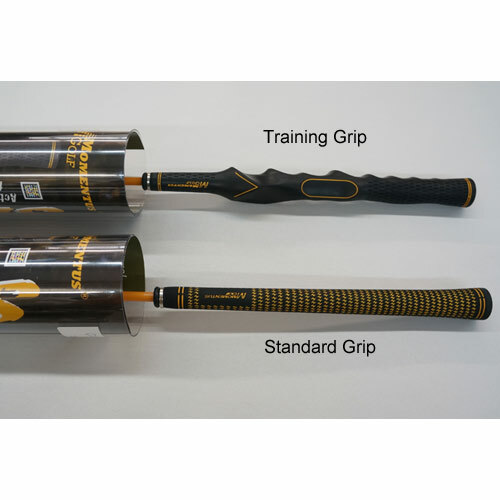 Place the Magnetic Timing Ball at the grip end of the Speed Whoosh. The magnetic feature built into the ball and grip will keep the ball in place in your back swing. Swing the Speed Whoosh so that the Magnetic Timing Ball releases properly in the down swing, hitting the end of the shaft at the bottom of your swing. If the Magnetic Timing Ball hits the shaft end too early, you need to hold the release longer in the down swing. If it hits too late, release the club earlier. This feature is an incredible feature which gives you immediate feedback with the ability to instantly improve your swing. 7. Allows you to hear the sound of increasing club head speed by the "Whoosh" it makes as you swing it.